Ma Huateng, also known as Pony Ma, is a Chinese business magnate, engineer, internet and technology and philanthropist. 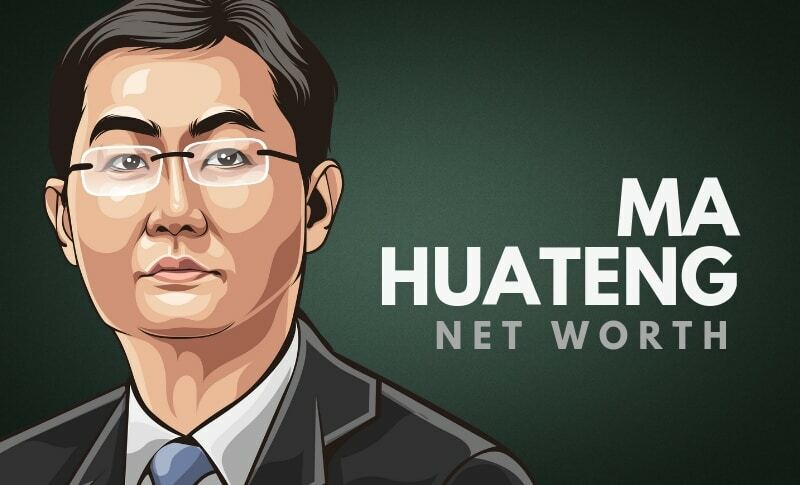 Huateng is the chairman, founder, and chief executive officer of Tencent, Asia’s most valuable company and also one of the largest Internet and technology companies in the world. As of 2019, Ma Huateng’s net worth is approximately $42.4 billion dollars. He is one of the wealthiest businessmen in the world without a doubt. Ma Huateng was born in Chaoyang, China on the 29th of October, 1971. When his father, Ma Chenshu got a job as a port manager in Shenzhen, near Hong Kong, the young Ma accompanied him. Huateng was enrolled in Shenzhen University in 1989 and then graduated in 1993 with a Bachelor of Science in computer science. Ma Huateng’s first work was with China Motion Telecom Development. He reportedly earned $176 per month. During the same time, he also worked for Shenzhen Runxun Communications Co- Ltd- in the research and development department for Internet calling services. Huateng went on to co-found Tencent in 1998. The company’s first product came after Ma participated in a presentation for ICQ, the world’s first Internet instant messaging service, founded in 1996 by an Israeli company. In 2000, Ma turned to US investment firm IDC and Hong Kong’s telecom carrier Pacific Century CyberWorks who bought 40% of Tencent shares for $2.2 million. Afterward, 80% of the company’s revenue came from deals struck with telecom operators who agreed to share message fees. As of 2019, Ma Huateng’s net worth is estimated to be roughly $42.4 billion dollars. For every minute spent organizing, an hour is earned. You should take that to heart in your day-to-day work. Try to end each day with preparation for the next. Taking stock of the tasks you’ve completed today will help ensure that you get off to a fast and efficient start tomorrow. When the chips are down, it’s easy to just give up. But it’s in those moments that successful people buckle down and work harder, finding new ways to reach their goals. Ma Huateng, the founder of Tencent Inc., and the second-richest man in China, almost flamed-out during the early years of his business. Your work is going to fill a large part of your life, and the only way to be truly satisfied is to do what you believe is great work. And the only way to do great work is to love what you do and to have a passion for it. Ma Huateng is one of the most well-known investors and entrepreneur in China. He is the founder of Tencent, which is Asia’s most valuable company, one of the largest Internet and technology companies, and the biggest investment in the world. He is also the man behind the popular message system WeChat. As of 2019, Ma Huateng’s net worth is estimated to be roughly $42.4 billion dollars, making him one of the wealthiest businessman in the world. What do you think about Ma Huateng’s net worth? Leave a comment below.